Note: The main difference between the different sizes is the cover and the size of the text. Scholars of Ahadith (traditions) and writers of the biography of Muhammad, the Messenger of Allah, have explored his life from every angle and aspect from birth to death. Every event, every incident of his life has been described and narrated, but none had claimed that he has given his life's recording its full rights. Hundreds of books have been written on the life of Muhammad and this endeavor will continue till the Day of Resurrection. 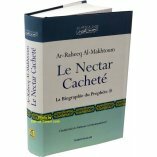 No doubt The Sealed Nectar ( الرحيق المختوم - Ar-Raheeq AI-Makhtum) is a book of great value and praiseworthy work on the life of Muhammad. 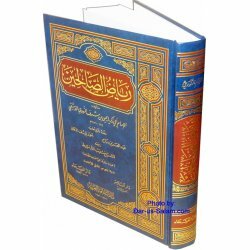 This book has been written by the Eminent Shaikh Safiur-Rahman Mubarakpuri of Jamiah Salafiyah, Banaras (India). The first Islamic Conference on Seerah (biography of the Prophet) was held in 1976 in Pakistan sponsored by the Muslim World League. The League announced a world contest for writing a book on the life of the Prophet. One hundred fifty thousand Saudi Riyals (SR 150,000) (forty thousand U.S. Dollars) was the grand prize for the best five books. Ismail S. on 11/13/2016 You're the best! Erick H. on 11/01/2016 MashaAllah, so pleased with receiving this. Thank you for your excellent customer service. 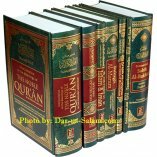 Customer R. on 07/28/2012 This has to be besides the Quran one of my favorite books. 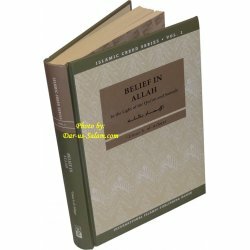 When I first came into Islam besides the mercy and blessings of Allah giving me the knowledge needed to understand our way of life, I came across this book and it put things in perspective for me. Customer R. on 07/28/2012 it's a very good book that covers life of our beloved Prophet [may peace and blessings be upon him].Highly recomend to every Muslim to have. 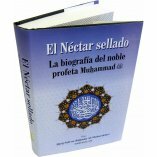 Customer R. on 10/30/2010 This is an excellent introductory book to the biography of the noblest of mankind [saw]. I say introductory because in as much as the book is condensed with much facts, it still has decided to summarized most events that was highlighted perhaps so that it doesn't become laborous for us to read [Allahu musta an]. 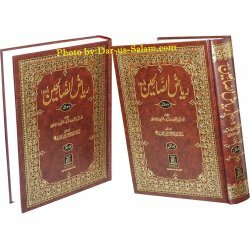 The book can be divided into three parts: Part 1: Pre-islamic Prophethood era pgs 23-83, Prophethood era: part 2: The makkan period pgs 84-217, Part 3: The Madinah period pgs 219-577. 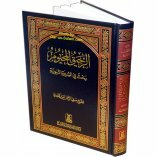 I have to say that initially I found the reading the pre-Islamic era of the book cumbersome but with persevearance I came to appreciate going through this period as it was very helpful in comprehending the book as I read further and also made the linking of events easier and better understood. The book is arranged in such an excellent chronological order with definite time-lines such that one can actually start visualizing' all the series of event. Also the kind of leadership of the Prophet [saw] was emphasized throughout the book coupled with the immeasurable of the companions [ra] and the priceless efforts these early generations of Muslims made in the propagation of Islam. 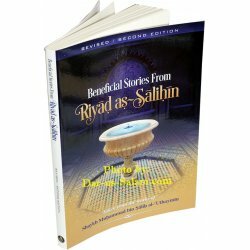 The Author referenced sources like: Al-Quran Kareem, the six books of ahadith-bukhari, Muslim, tirmidhi, ibn majah, Abu dawud, nis ai, and also sources like Zaad al mi aad, fath bari amongst other classical islamic books of As-salaf saliheen.I have to say that the book is written in a very narration style that brings to the center of events while going through history on the pages of the book. If I am to recommend this book, I might say that upper middle school upward might be an ideal time to read this book while the lower grades can make do with some other more condensed version of the biography of the prophet [saw], this is a suggestion based more on proper comprehension of the series of events than the reading/retention ability of the child. My only reservation for this book is that for easy referencing the publishers can include the index and may be in the nearest future make the audio version for the sight impairs to benefit from the life of the noblest of mankind [saw]. Before reading any biographical work on any of the Muslims in the past, please take a break and read about the noblest of mankind [saw] first, then try to read these biographies in chronological order if you can as it'll help you to under issues better and Allah knows best. Happy reading and khayr Insha Allah. Customer R. on 02/01/2011 Alhamdulilah, a very good read. Wish it was more detailed though. I'm going to try out other books on seerah inshAllah. Customer R. on 06/02/2011 As salaamu alaikum wa rahmatullahi wa barakaatu. 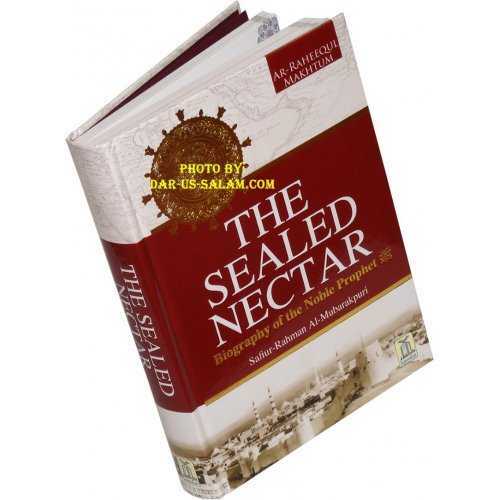 I started reading 'The Sealed Nectar' as a text for my Seerah 101 class, alhamdulillah. We were all provided with a PDF copy, but I needed to have a copy of my own. This is more than a biography, masha Allah. What better way to gain Allah s pleasure than to get to know his most beloved of creations. O Allah, Lord of this perfect call and established prayer. Grant Muhammad the intercession and favor, and raise him to the honored station You have promised him, [verily You do not neglect promises]. Ameen Allahuma Ameen! Customer R. on 07/17/2016 Great book. A must have for any. Small enough to fit into my pocket comfortably to read during a break at work. Customer R. on 06/14/2010 This book is a must have for every Muslim household.